With our excellence in this field, we share forefront for supplying world-class array of products from Kuala Lumpur(Malaysia). 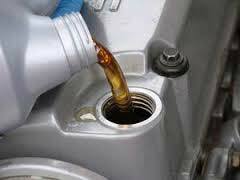 We are considered as one of the trusted Engine Oil Manufacturers & Exporters. Buy the best quality Engine Oil that is the perfect outcome of the best practices and the innovative techniques. We are one of the leading Engine Oil Exporters and Suppliers in Asia and can be banked upon for the quality of product that we deliver. We have also excelled as the best Automotive Engine Oil Suppliers in Malaysia.